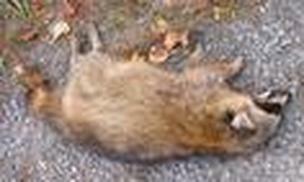 Dead animal removal in Tigard can be prevent by doing two simple things. First when an animal dies inside your house the main problem you need to find out is house it got inside so the problem does not happen again. The second one that is very common, when you notice you have an entry point under your house do not seal it up before making sure there are no animals left inside. This can cause two very bad results, one the animals dies inside or the second which is the animal does ALOT of damage to get out of the house. Sometimes the animals will even crawl up the walls or inside the house if they have no other option. So it is important to make sure you have no animals left underneath and if you are not sure we are able to come out and handle the problem for you. Another important thing to know about dealing with a dead animal in Tualatin is the risk they present to people, pets, and other wild animals. When the animal is dead it can carry dangerous bacteria, disease, or germs which could transfer to others if proper safety equipment is not used. Never touch a dead animal or let your pets smell around. If you have a problem we can come out and remove the dead animal and properly dispose of it. When you have a dead animal in your crawl space, walls, or attic the smell can carry around the entire house if not properly removed. We offer a professional deodorizing service which can knock down the odor and is not just a cover up scent. The food grade deodorizing solution we use is child and pet safe which means we are able to get inside the house without putting anyone at risk. The sooner you have the odor removed the quicker it will work so we always recommend have it done when your have an animal removed. Tualatin Dead Animal Removal Call 503-201-2432!